a little more about the H.Plus-300 . . . 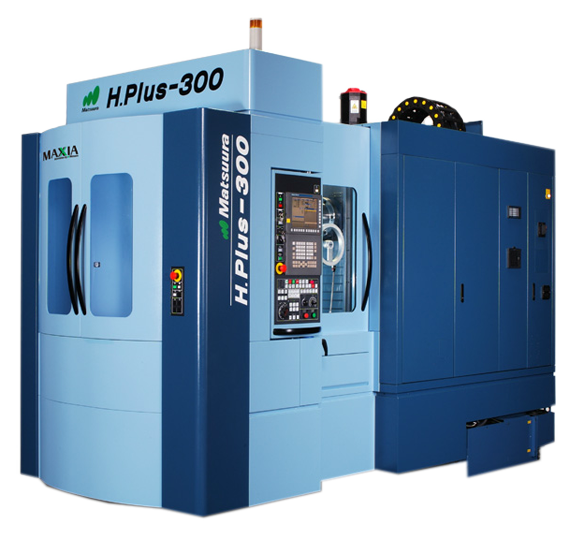 The Matsuura H.Plus-300 is one of the most popular products in the long heritage of Matsuura horizontal products. Our H.Plus Series machine has a myriad of pallet, spindle and ATC configurations – tailored to your process and workload – with proven reliability and exceptional performance as standard. Spindle Speed min-1 15,000: BT40 Standard. 20,000: BT40 Option.